You all know by now, any excuse for me to have a gathering is game on (ha, pun intended). 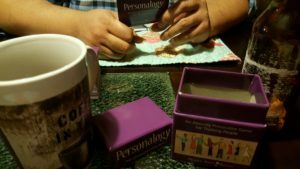 So when Tryazon gave me the opportunity to try out a new game and host a game night, I jumped on it. Even with the insanity of some of my busy, flaky friends which honestly mostly was my own last minute flakiness, we managed to have a blast. The game made it super easy! 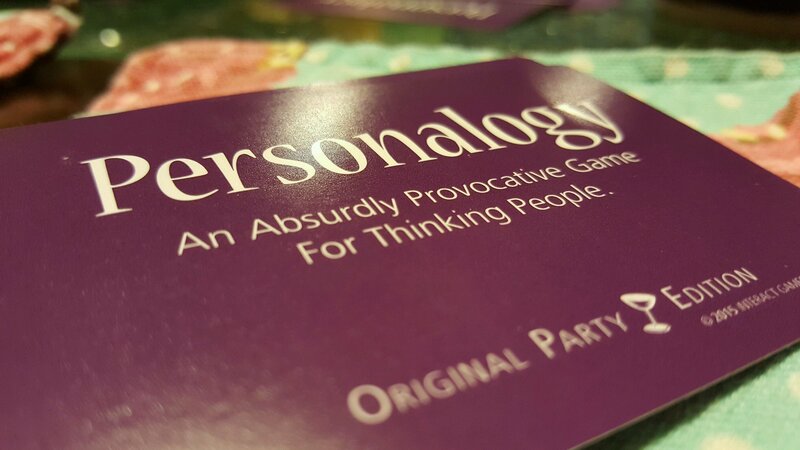 For an uncounted amount of hours, 6 adults were enthralled with this hilarious game, Personalogy. Thought provoking questions quickly bring out all of the sarcasm and humor in even the quietest of persons as they just can’t resist. We laughed so hard it hurt at the various responses to the questions and the friendly debates it sparks. So here’s the skinny, every deck has 120 cards with playful, thought provoking questions that will keep you laughing and joking. There is a Party Edition (which is what we played) and a Family Fun Game made for families. Whether you are having a party, a group game night, or just to use to spark some super conversations on road trips it makes the time fly by! Points are optional but my super competitive hubby had to have them, so we played with them. (I’ll go ahead and brag that I won, haha) Anyway, you need to check it out. You won’t be sorry!